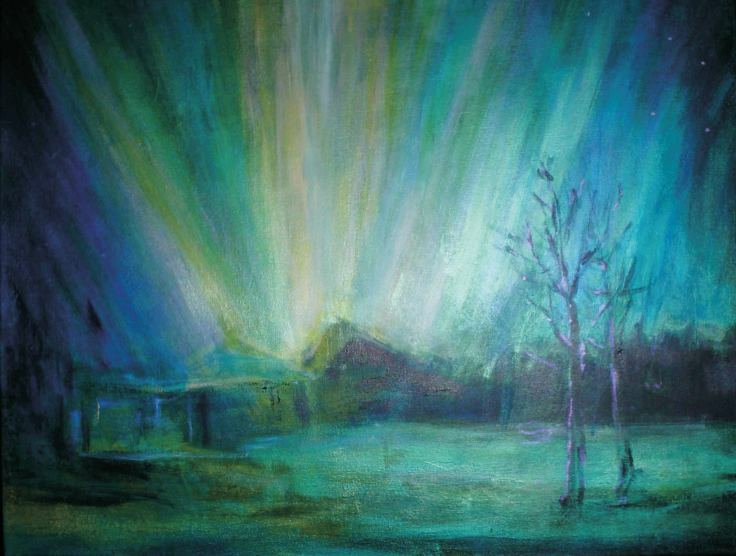 NOTICE: All art images contained in this website are the property of the artist, and are not to be copied or used in any way without express written permission. 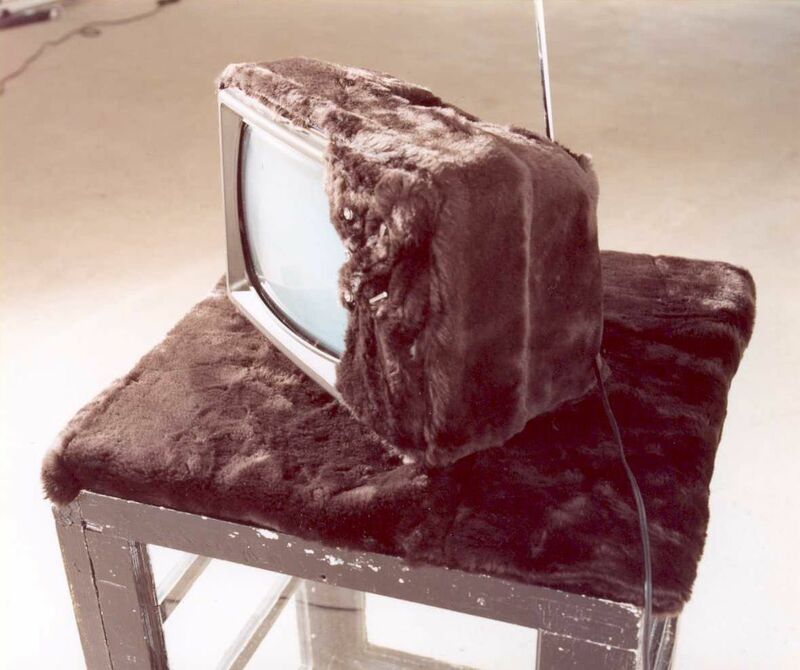 "The Medium and the message", an innocuous and innocent looking entertainment centre, the television sits there covered in fur like some comforting toy used to distract and mesmerize children. 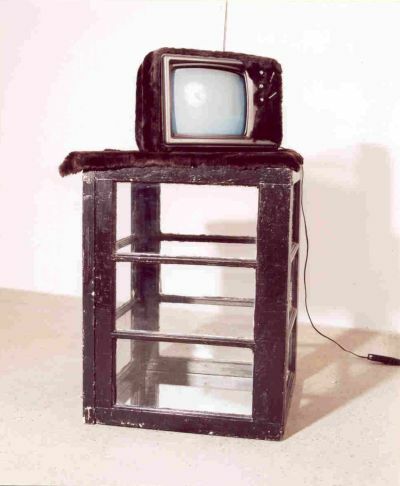 The artist has presented this installation in a way that is loaded with meaning and encourages the viewer to question the role of television. The base itself relates to the theme. 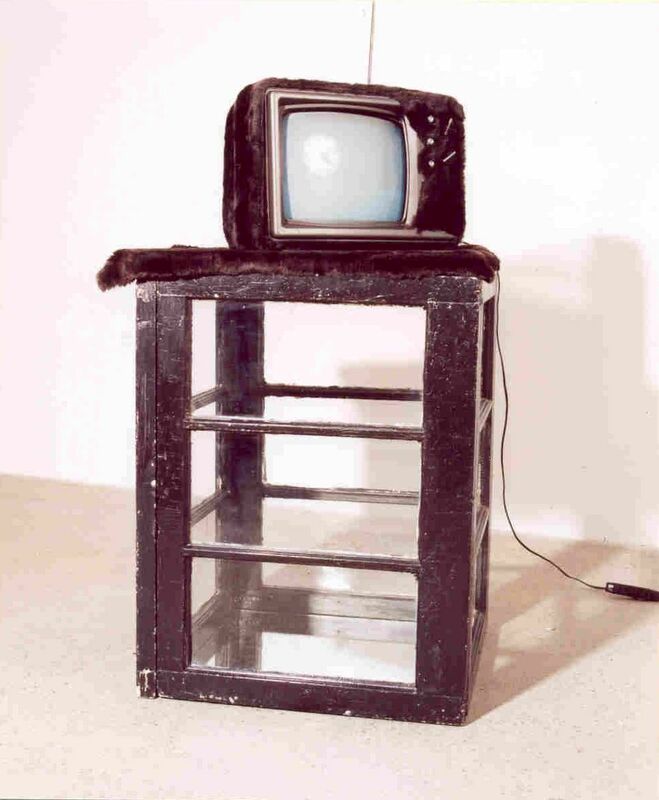 Like the television, which gives us a window on the world and events, these windows face each other with inward containment, reflecting upon one another. The mirror in the centre presents a tunnel vision continuing downward. The medium while appearing to expand our view, actually contracts it to the viewpoints selected by the producers who reinforce the hegemony of the corporate agenda. While television expands our view at the global level, it replaces interaction and communication at the local level. 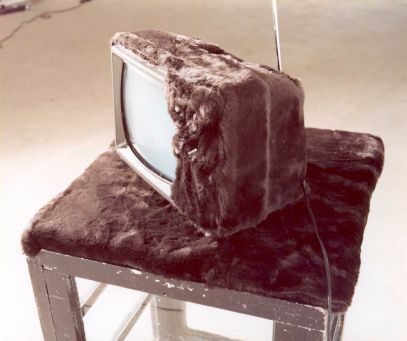 The incongruity of a fur-covered domestic object is nothing new to art history. Merit Oppenheim presented her fur cup and saucer to the art world years ago.